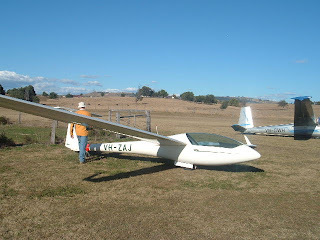 Today Sunday 19th July I went gliding at Boonah. A perfects winters day, temp 22C. 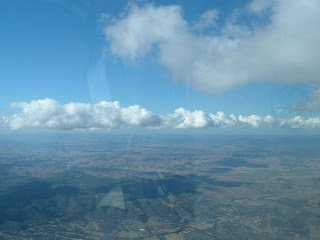 I flew solo on one of the great club gliders called the "Wasp". 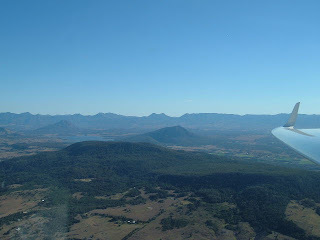 Flew a closed circuit close to the gliding field, never more than 20km away I got upto 2000m and had a great view of the countryside. The clouds only started at 12o'clock and had dissappeared by 3pm. The flying here is just so much fun compared to Holland, better weather and a laid back atmosphere. 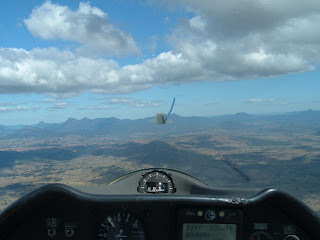 I think my flying future is in gliding its much more convienient than hanggliding.